Hey Mama! 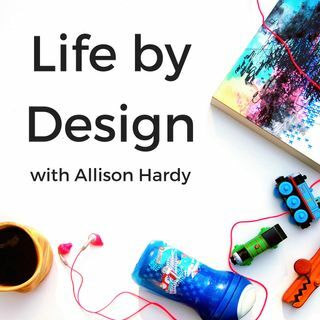 And welcome to episode #97 of the Life by Design Podcast with Allison Hardy! These days, Jaime applies the formulas of Hollywood to help brands create compelling content for their audiences. Her real passion, though? Helping Mamas find fulfilling flexible work solutions when life throws Career Plan A totally off track. When she’s not working, Jaime spends her time stepping on Thomas trains, singing in church with her hunky husband, and pushing her spoiled pup off the couch. In her interview we talk about what “perfect” now looks like, Jaime gives us an exact formula for creating copy that converts, and how we need to be concerned and aware of comparison-itis. + “What will your life look like in 80 years?” Your business is meant to serve in big ways, but it’s not (and shouldn’t be) your life. + Business decisions are based on what kind of flexible need she has, and knowing that life can happen in the midst of our planning. + If we can find the ways and formats of how our ideal clients talk and communicate, there is no “secret sauce” for copywriting. It’s a matter of figuring out the method and then just storytelling. + The backbone of copywriting is knowing your story. + Worry less about the perfection and worry more about really knowing yourself and your story and what your message is. + For women who say they don’t have a story what it boils down to is knowing what you care about. + Your “why” may not be to do massive things, and that’s ok. Knowing what you care about and what drives you, you’re going to find your tribe who cares about those things too. + Comparison-itis is REAL. What works for some people won’t necessarily work for you.